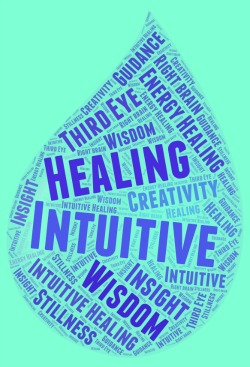 Intuitive healing is a broad term that we can apply to any act or mode of healing that uses intuition to help guide the healing process or treatment. While the term is usually used for energy healers and other holistic healers, I think it can be applied just as accurately to many conventional medical practitioners. A medical doctor may practice evidence-based medicine, but that doesn't rule out the judicious use of intuition as well! But for this article, I'll be focusing on using intuition in energy healing, where it usually plays a particularly strong role. I'm not against the use of particular techniques or even particular sequences of techniques to address specific issues, if that's what works for you. And for beginners, I think it's especially appropriate and usually very helpful to have a set of learned techniques and routines to rely on. But for most energy healers who've been doing this work for very long, intuition plays a large and valuable role. It allows us to break out of formulaic treatments and address each individual and each session as the unique phenomena they are. It helps us see more clearly and respond from a deeper place to the needs of our clients. It allows us to access wisdom and creativity far beyond our own individual abilities and resources. It takes some of the sense of responsibility off our backs. And it feels magical--who doesn't want that?! Of course, reasoning, experience and learned knowledge also have their role to play in a healing session. We should allow intuition, intellect and experience to work together, supporting each other with none overshadowing the others. Balance! to tune into help from whatever non-physical allies and sources you acknowledge and access. These are just a few ideas. I know you will think of many more. If you're not used to doing it, you may be wondering how you can access more of your intuition during a session. Here are some ideas. Still your mind and be as present as you can. Let go of your ego as much as you time. Silently affirm your intention that this session be useful to your client. Open your heart and connect as deeply as you can to your client. Be open to information arising. Allow it. Perhaps start each session with a silent affirmation such as: "I welcome intuitive information that contributes to the highest good for this session." At the same time that you allow your intuitive channels to be open, do not expect any particular outcome or results. Don't try to force or control it. Receptivity, not control, is most conducive to receiving intuitive information. Don't exactly turn off your intellect, but calm it. For most of us, our left-brain, intellectual mind crowds out our right-brain, non-linear, intuitive mind. Strive for balance, knowing that you really don't have to lead with your reasoning mind. For someone who is very used to relying on their left brain, this can actually be frightening, so if that's the case be gentle with yourself and allow the re-balancing to be a work in progress. Ask for additional information when you need it. Call in non-physical allies and resources to help you if you wish. 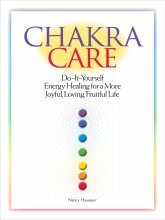 Check in with your body, particularly your solar plexus, your heart center and your forehead. Also notice sensations of heat or cold, pressure, tension or ease, or any other physical sensation that catches your attention. Act on intuitive information that comes up, with the exception of sharing intuitions specifically about the client. (See the section below for a longer discussion of this.) For example, if you receive an intuitive message that you should work with someone's feet, do it. If you get the sense that the session is done, end it. And so on. Intuition can express itself in many forms, and most of us have a particular style or strength. Respect your own personal intuitive style and work with it. You are more likely to recognize intuitive information when it appears, and it is likely to be deeper and more significant if you are playing to your strengths. When you finish the session, silently express gratitude for the marvelous gifts of intuition. Don't expect every session to be an eye-popping extravaganza of intuitive healing. Sometimes you--and/or your client--just need a nice, quiet, gentle, restorative session. That's good, too! If you receive direct intuitive information about your client, be very judicious about how you handle it. As a simple example, say you receive a very strong image of a lion as you are working with someone. That seems pretty innocuous, but still, don't automatically or immediately share this with your client. Let it season a bit as you continue your work. Think about its potential impact. If it feels negative--maybe the lion is injured-- definitely hold back until you can articulate it in a way that is positive and constructive. If you decide that the intuitive perception is worthy of sharing, let your client know that you received information that seemed to concern them and that may be of value. Ask if they want you to share it with them. If the answer is yes, preface your sharing with strong encouragement to check the information against their higher self or their own self-knowledge, and to let it go if it doesn't ring true or if they feel indifferent to it. Don't offer an interpretation unless one has come to you strongly and your client asks you to interpret. Mainly, just be thoughtful, sensitive and courteous, keeping your client's well-being foremost at all times. I hope you enjoy using intuitive healing as part of your work! Go from Intuitive Healing to Developing Intuition page. Go to What Is Intuition? Or, go to site Home Page.